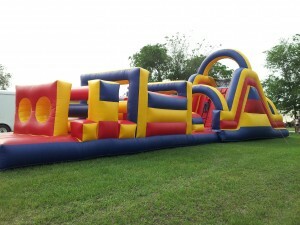 The 65′ Obstacle Course is made of two pieces. We can use the pieces combined or individually depending on your preference at a reduced price. 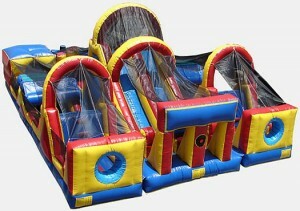 The Mega Obstacle Course is made of 3 pieces. We can combine any combination of the three pieces or use them individually at a reduced price depending on what you wish. The Excalibur Obstacle Course is a new obstacle course that features two slides. It is one piece and is approximately 15′ high. We are very excited to have this obstacle course for you to use.